Happy Saturday! I finally got my sewing machine working so I’ve been trying to finish a bunch of projects I attempted to start and haven’t been able to do. 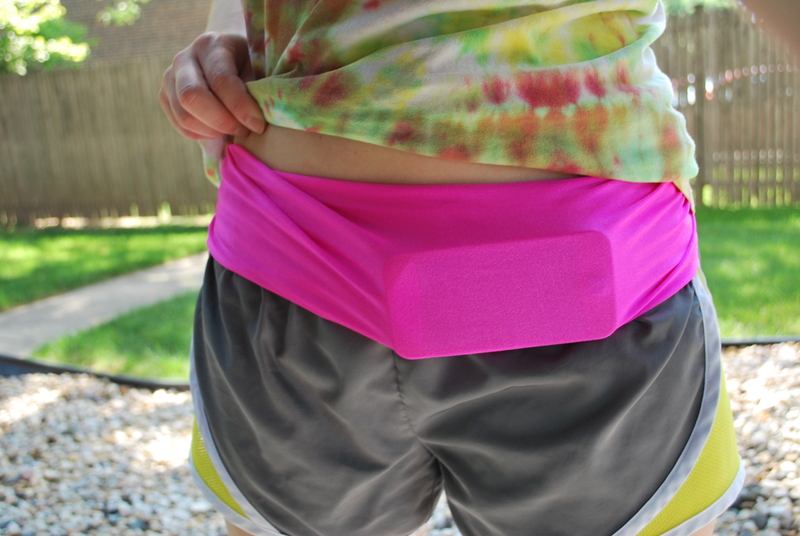 The first one I finished was this running belt to hold phone, keys, music, etc. They sell these handy little accessories at stores but they’re pretty pricy and for what it is, I figured I could make one for quite a bit less. They just have an opening or two where you stick your stuff and them flip them over to hold everything in place. Now I originally wanted to add a zipper and fold over elastic to the edges but after the issues with my sewing machine I decided to keep it simple and it still works great. Feel free to make yours more jazzy though! 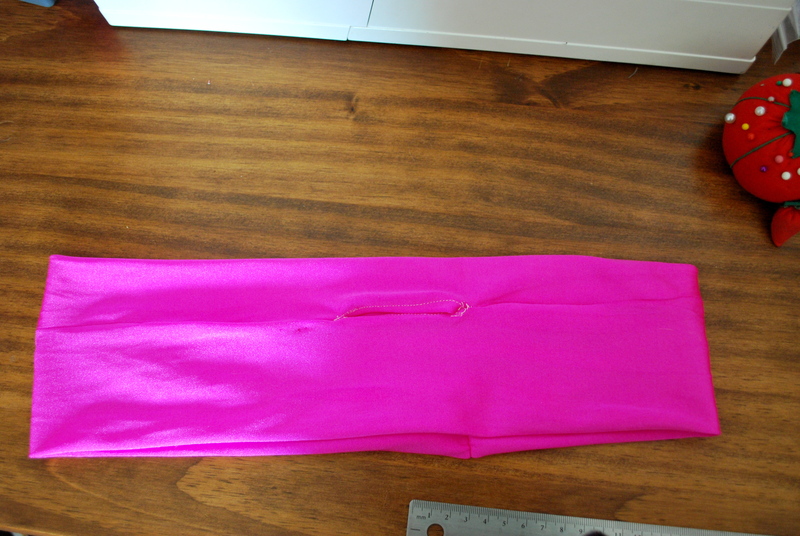 First I bought 1/4 a yard of a nylon spandex mixed fabric from Joanne Fabric. I folded it over and sewed it together leaving an opening for the pocket. I then cut slits were the opening for the pocket were and folded them down and sewed. I them flipped the belt right side out and with the pocket facing out I sewed the ends together. When doing this step be sure to get it nice and tight. 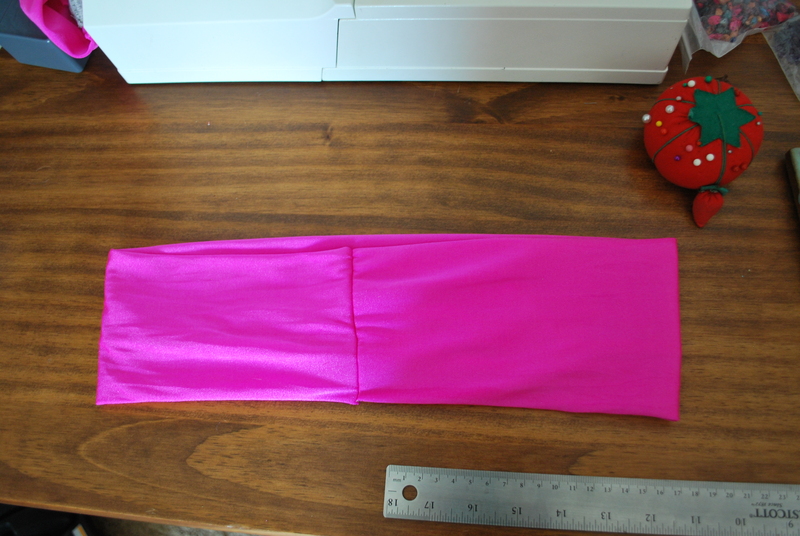 The fabric stretches so I had to make mine quite a bit smaller than I thought I would need to. Remember it’ll be bouncing around when you run so you don’t want it sliding or falling down. The fabric was a little hard to sew because it is slippery so definitely pin it. Then cut the extra, fill it up and flip it over so the opening is facing in. Then you’re ready to run. 😉 I’ve been trying to get up to 5 miles and I’m half way there so this should help me get there. Let me know how you use yours!